Usability Engineering is a field which is mainly concerned with human computer interaction and specifically with making human computer interfaces that have high usability or user friendliness. Our engineering analysis services address various issues related to product design, development and manufacturing. 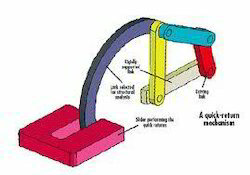 Our expertise lies in providing FE modeling, and structural / vibration / static / modal / crash analysis. Our experienced engineers can assist you in your ideas by separating the engineering design into the mechanisms of operation or failure, analyzing or estimating each component of the operation or failure mechanism in isolation, and re-combining the components according to basic physical principles and natural laws & engineering calculations. We have successfully carried out various types of engineering simulation/analysis and we are providing reliable solutions to complex scientific and technological problems. We provide services in the areas of FEA Consulting, Modeling and Customization of available FEA PrePost Processors Solvers. By understanding the demands of our patrons in the best possible way, we are increasingly engrossed in offering Soil Investigation and Testing Services to our clients. Delivered in tune with the norms defined by the industry, these services are enormously in demand. Due to their cost effectiveness, these provided services are hugely treasured. 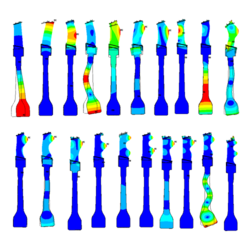 Finite element analysis(FEA) is the key to optimize a mechanical design.Their capabilities include assembly analysis, linear stress, displacement, buckling and heat transfer analysis.